FVCbank, a community bank with eleven offices in the DC metro area, announces the addition of Bill DePaola as Senior Vice President, Commercial Lender to their team in Lutherville, MD. DePaola brings extensive banking experience in business banking and commercial real estate lending. Previously taking on a variety of roles with Provident Bank, NationsBank, Wachovia and Hamilton Bank, DePaola has accumulated over 30 years of banking experience in the Baltimore area. DePaola grew up in Baltimore and received his Bachelor’s Degree from Towson University and Master’s Degree from the University of Baltimore. DePaola is active in various networking and Chamber of Commerce groups throughout Baltimore and Harford counties. He has been married to his wife, Sallie, for 36 years. Together, the pair has a son and a daughter. 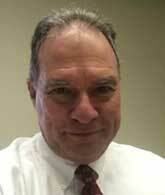 FVCbank is excited to welcome Bill to their lending team!